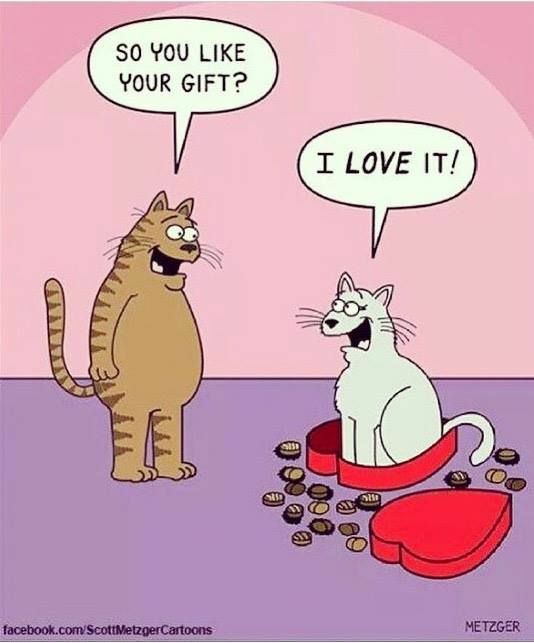 Funny cat valentine cartoon. So you like your gift? I love it! Cat discards the chocolates and sits in the box.